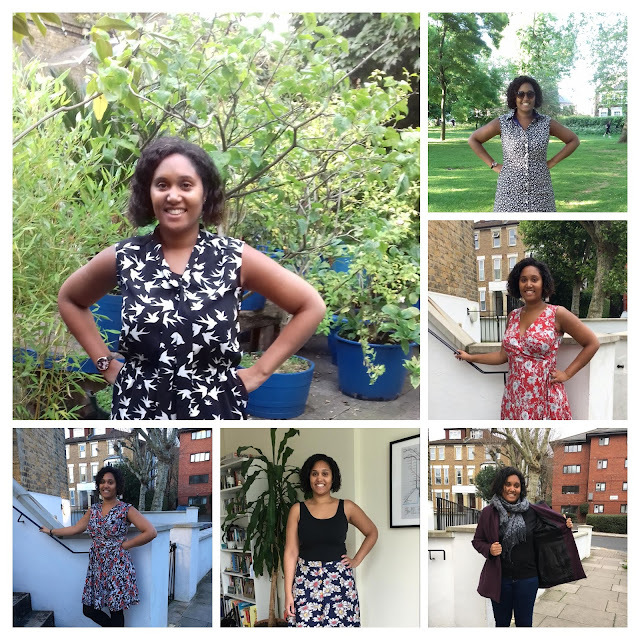 Pattern Review: Simplicity 1872 & Butterick 5744 I have finally got my sewjo back! It was the beginning of January when I posted my last garment. 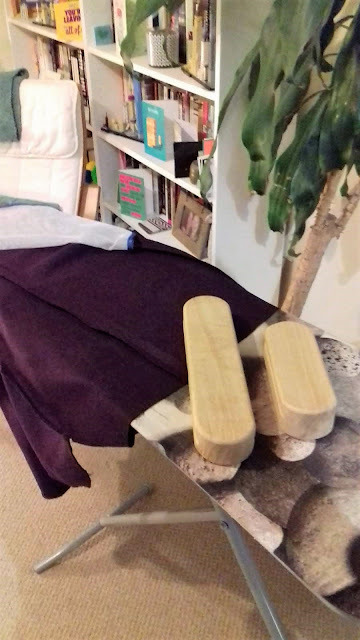 I started this dress back in 2018, but have only just finished it. 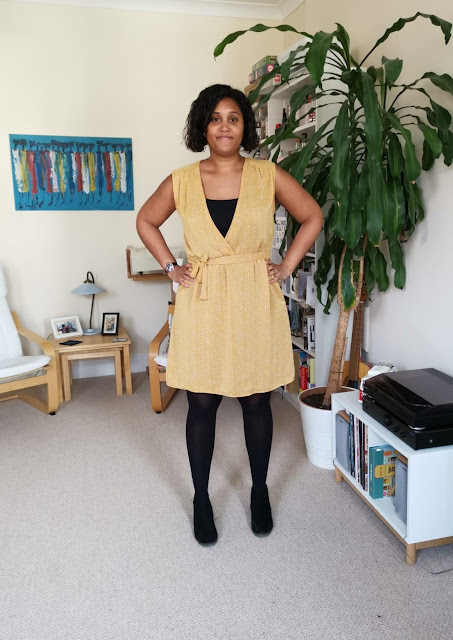 This dress is a frankenpattern of the bodice of Simplicity 1872 and the skirt from Butterick 5744, both are patterns that I have made previously. I wanted a simple silhouette and dress for this lovely floral printed chiffon. 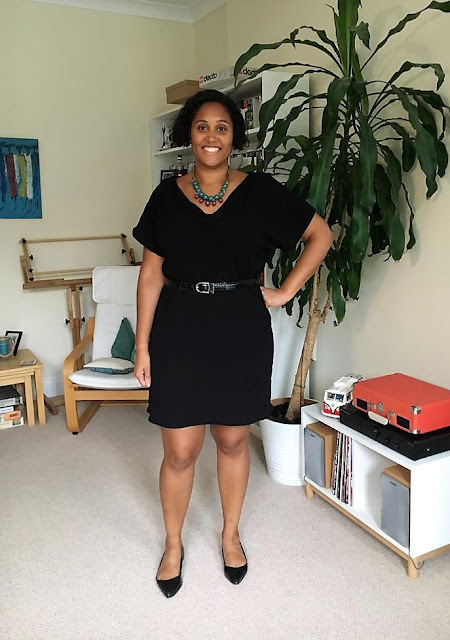 I initially decided to wear this dress with no elastic in the waist but it felt way too sack like for me, so I decided to pop in some elastic and it worked really well. A good amount of waist definition and yet the skirt is still floaty. The chiffon fabric was a gift from Alex during her first visit to New York around three years ago, and not long after we met! It was pretty difficult to work with as it frayed like crazy but was worth it! I overlocked all of the edges and underlined it with a mustard orange lining from Simply Fabrics in Brixton. 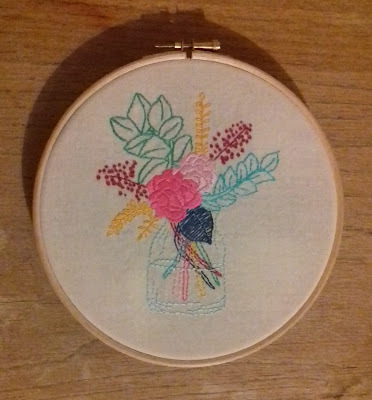 Pattern Review: Summer in a Jar by Polka and Bloom For my birthday this year my parents bought be an introduction to embroidery course. It was a 3 hour introductory course at the Village Haberdashery in West Hampstead. It was a small course of 6 people and the course was 3 hours in total. All of the materials including the pattern were included in addition to tea, coffee and biscuits :-) The pattern that we worked on was a good sampler to try a variety of stitches. I really enjoyed how quickly this project grew compared to cross stitch. It was a great portable project as you don't have to carry around a copy of the pattern as we drew it on the fabric with a water soluble pen. I ended up completing this on a work trip to Dubai. I know it is almost March, but better late than never with my 2019 Make Nine Plans. I thought that I should start with a recap on my 2018 Make Nine plans first. I completed 6 1/2 of my planned makes. It's currently at six and a half as I am currently midway through number 7! I am really pleased with my progress. One of my two uncompleted makes was The Papercut Coppelia pattern, I just wasn't sure if the style was for me anymore. 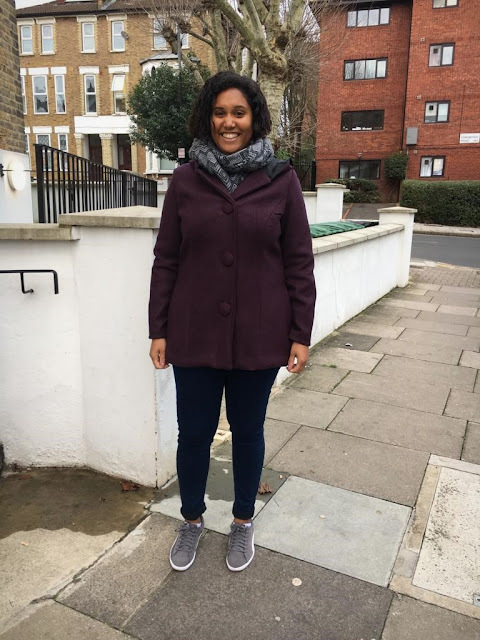 The other pattern was a TNT miniskirt, Simplicity 1370, for which I simply ran out of time in 2018. The reason I really liked the Make Nine challenge is that it made me focus my sewing for the year. all of these makes above are in frequent rotation in my wardrobe which is fab. Because of this, I decided to do the same for 2019! 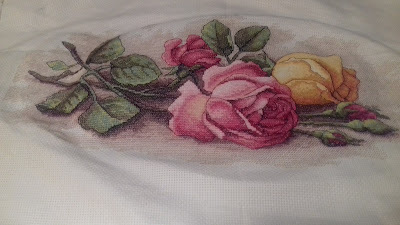 Pattern Review: Rose Cuttings by DimensionsTwo years after making my first stitch I have finished this cross stitch project! This was a lovely Christmas present the family. It is the Rose Cuttings cross stitch kit by Dimensions, currently available on Amazon here. This is a relatively large design (14" x 9"), but small enough for me to take it to my stitching group. The set comes with 14 count Aida which is a relatively large count for projects that I have been working on recently. The pattern was relatively easy to follow and there are no complex stitches, only full cross, half cross and backstitch are included. The kit came with plenty of thread and I think that the shading adds some lovely depth. The only thing that is annoying with so much shading in a project is that at times it feels like you are constantly changing colours. Long time no see! I started this coat back in August and have been chipping away at it for several months. I am finally finished and very pleased with the result! Initially Butterick 6292 featured as part of my #2018MakeNine goals, but I wanted some more sleeve shaping an opted for McCalls 7058. I went for the short coat length as I already have a long ready to wear coat that still has some wear it in yet! This length is perfect for when it is too cold for a light jacket but not cold enough for a full winter coat. I was drawn to a princess seam coat as I find princess seams easy to fit and grade between sizes. Speaking of, I cut a 16 on the bust and waist and graded out to an 18 on the hips. I took in an inch on the middle of the back seams to take out some of the excess roominess. I also took in the shoulder seams around one and half inches as the sleeves sat too wide for me. I am still here! I have been doing some slooooowwwww sewing whilst working on McCalls 7058. I have really enjoyed the process of making a coat, from muslin to the hand-sewn tailored buttonholes I am currently practising.